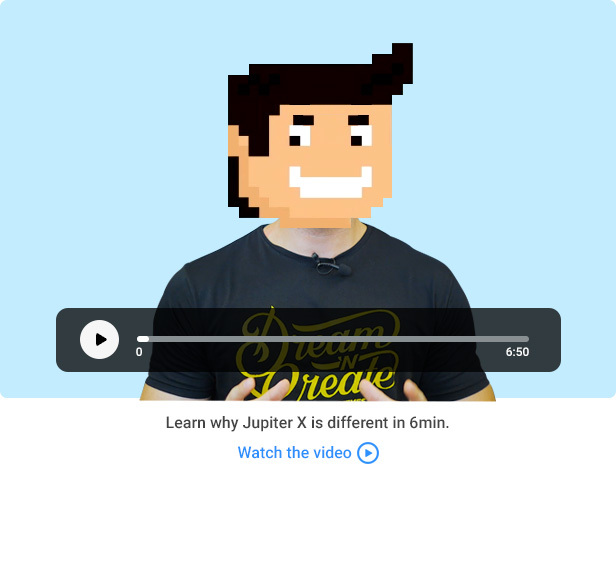 Join 100,000+ people who prefer Jupiter X for its customisability, speed and ease of use. 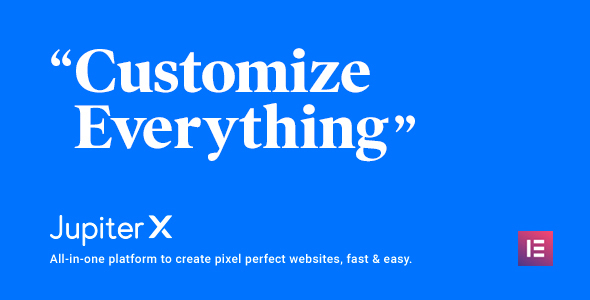 Create your awesome website today. 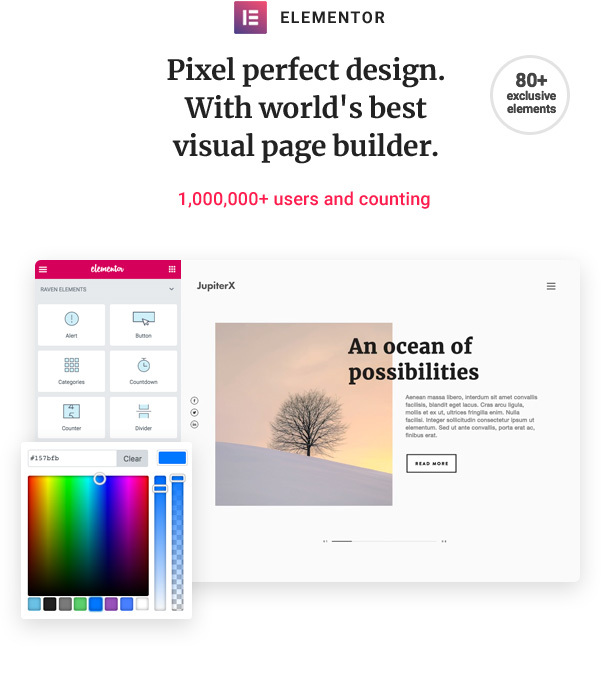 Jupiter X is your all-in-one platform to create pixel perfect websites, fast & easy. 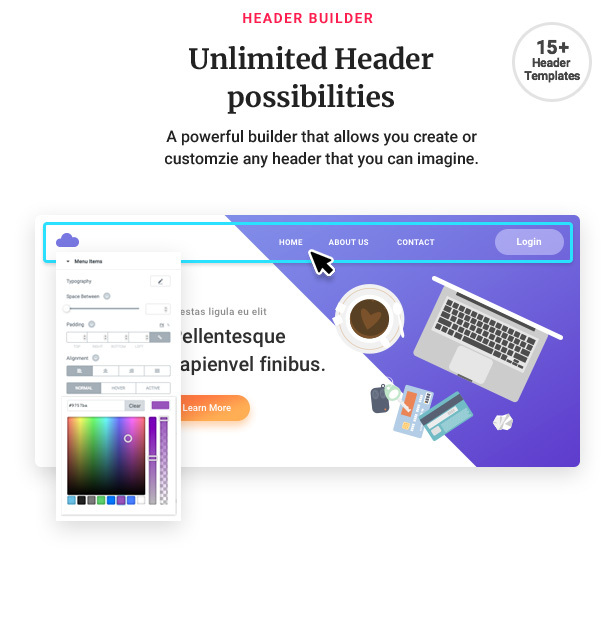 It comes with Elementor page builder, the world’s leading WordPress page builder. 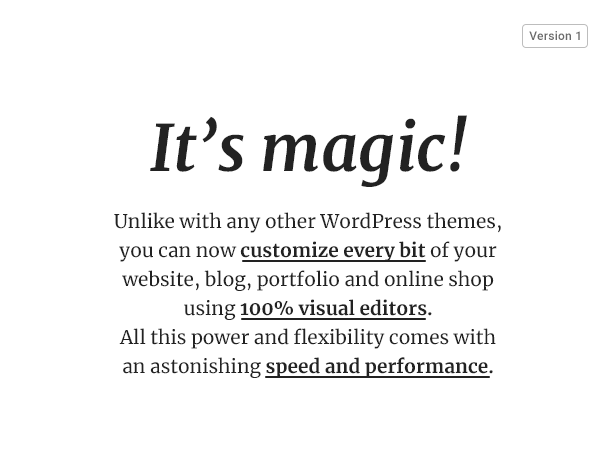 You can customise Jupiter X globally using WordPress customiser. 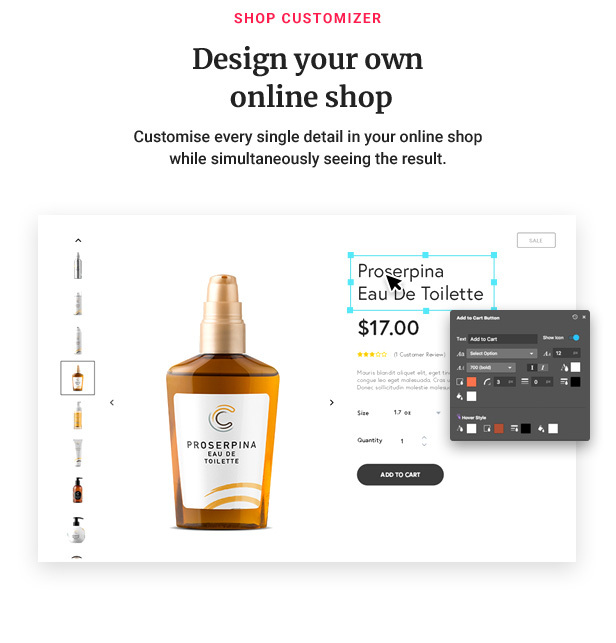 The brand new shop customiser helps you customise every aspect of your online shop including checkout and cart page. 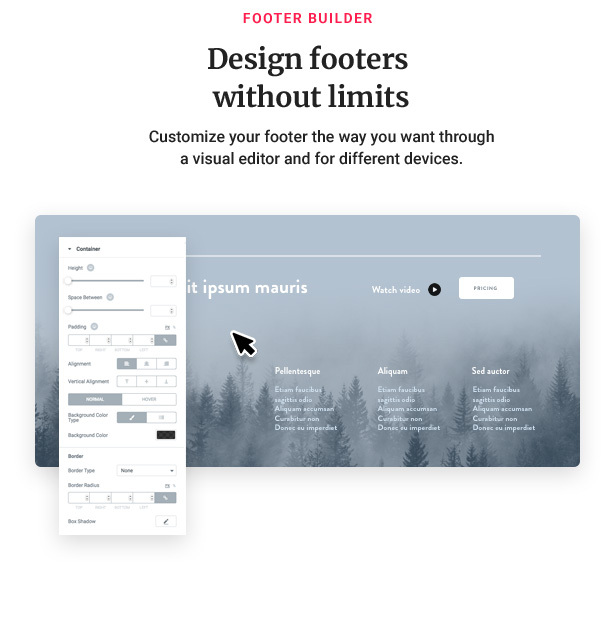 Moreover you can now build your own headers and footers easily with visual editors. 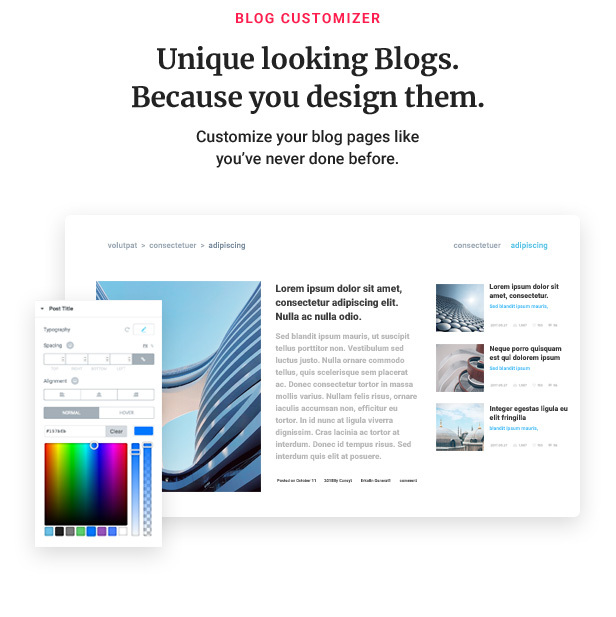 Jupiter X also offers extensive options to customise your blog and portfolio pages as well. 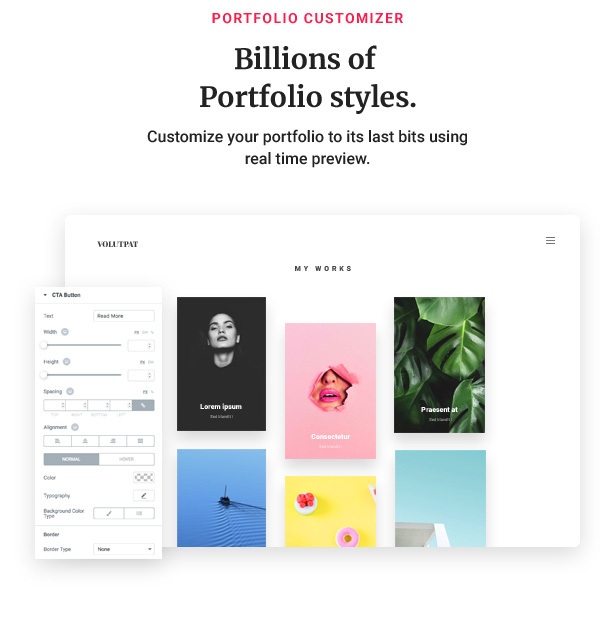 Jupiter X comes not only with over 150 pre-made website templates, but also hundreds of page block templates to save your time and help you get inspired. We deliver new website and block templates every month. 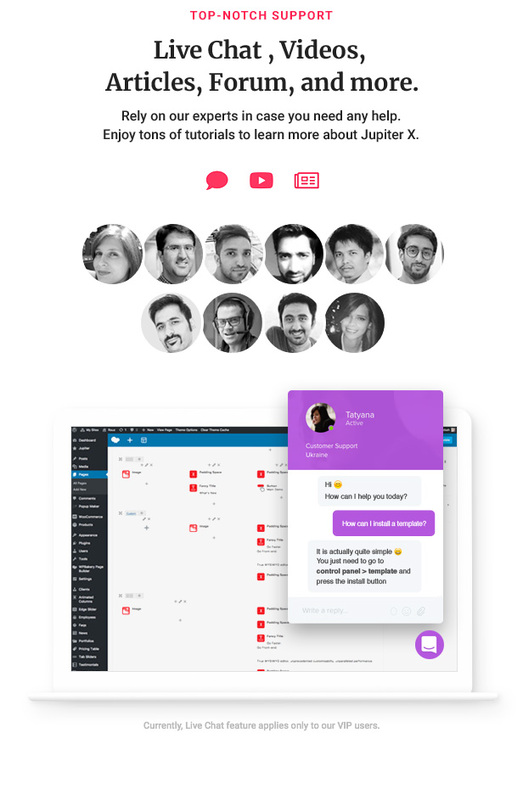 Jupiter X promises an unprecedented technical support which includes Live chat and hundreds of in-depth tutorial articles and videos. 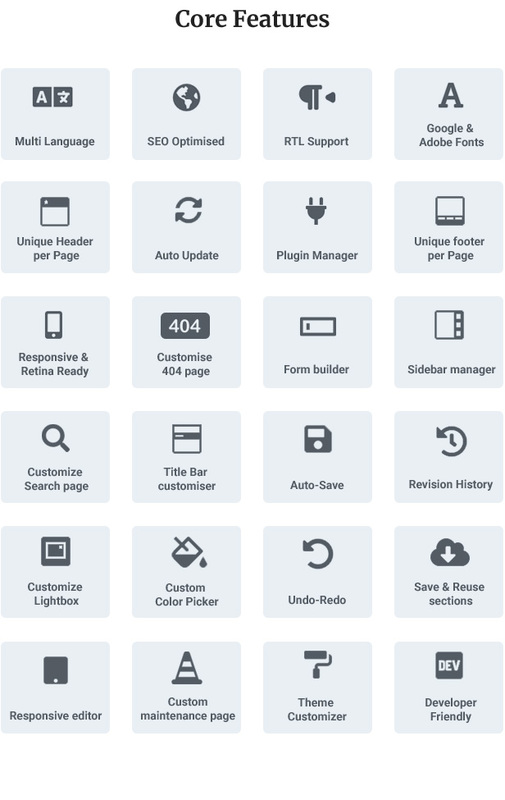 Built upon the best open source libraries/plugins for more extendibility and customisability. Developer friendly (highly customisable in different aspects). Strictly loyal to standard WP techniques for more plugin compatibility. Assets compiler. Dynamic asset loading.